Yesterday, June 23rd 2012, Westlife played their last ever show. From kindergarten till about Standard Three or so, I was a huge Westlife fan. Not even kidding. I knew all their songs, all the lyrics, and could spell every word of their strange (to me) Irish names. Through teen magazines (I know, I know), I even kept up with their personal lives somewhat -- Shane was getting married to his girlfriend, Brian was getting a divorce from his wife who was in Atomic Kitten, Nicky was a professional footballer before Westlife... Yeah. All that good stuff. Even at that young age, I was pretty much a fangirl. Speaking of fangirl, I'd always thought Brian the cutest, and was pretty sad when he left the group. Shane always got all the attention, but Brian really was the cutest! I mean, remember the Uptown Girl music video? Come on! I liked Mark's voice the best, though. It has a lovely, rich tone to it, and I loved his solo parts in every song. He's supposed to be releasing some solo stuff, so that'll be worth a listen, I think! Oh my gosh, I remember when he came out. At the time, I thought all gay men were effeminate and flamboyant, so I was super shocked. Oh man. Wow, is this post getting steadily more embarrassing. 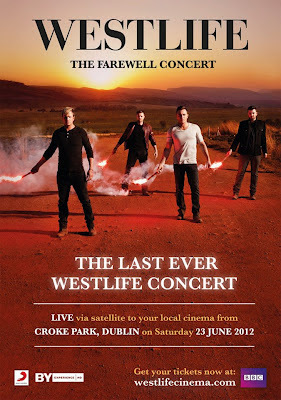 On a more serious note, the news of Westlife's last show really did sadden me. They were a big part of my childhood, and probably the very first musical group I actually loved and cared about. You know how kids are constantly going through phases and changing their likes and dislikes? Well, this phase lasted a good number of years, so I think it was something pretty darn special. 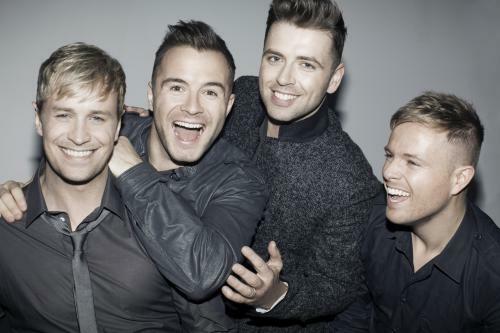 Kian, Shane, Mark, and Nicky. I don't know if it's silly getting so emotional over an old favourite musical group disbanding, but it somehow kind of feels like my childhood is gone. Yeah, I know -- I'm nineteen, my childhood ended a while ago, there's no way I'm getting any of it back. I know that. Westlife disbanding just seems to kind of highlight these facts in neon pink. There is a possibility that the emotional impact would not have been so great had I not just finished A-levels and if I weren't turning twenty next year. This is probably true. Actually, you know what? Yeah. It's true. It is. Man, look at how rusty I am. It's obvious I haven't properly blogged in a while. Oh well. Thank you for the music. Thank you for providing a soundtrack for my childhood, and for making my life that much more musical. You guys have been a joy to listen to, and I wish you all the best as you go your separate ways. Thank you. You're all awesome. Good luck and keep singing! What? No more Westlife? What sorcery is this!